With so many deaths of young African-American men at the hands of police, and the particularly egregious back-to-back shootings of Alton Sterling and Philando Castile, it is more than clear that America’s cultural landscape is in need of immediate healing and compassion. So in lieu of trying to say something meaningful, I offer this healing call, which I did with my Oracle Circle on 11 July 2016. 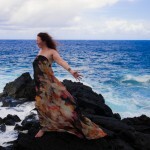 It starts with an energy healing–an opportunity to listen and release your emotions as many times as you like–and then questions from my Circle and answers channeled from the Akashic Records. 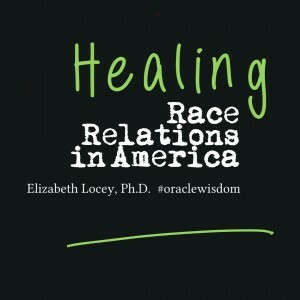 I’m Elizabeth Locey, Ph.D. + Oracle, and I’m so glad you’re here. After a short yet distinguished career as a professor of French + Women’s Studies, I have dedicated myself professionally to channeling Divine Wisdom in service to humanity, awakening in people the long-dormant magick of using intuition and crystals, and guiding a select few along their evolutionary edge via Personal Oracle Consultations. One of the most exciting things going on in my life right now is fully stepping into my highest sacred purpose in this life: setting up my IndigoLight Mystery School (TM). In the meantime, I am training select people to channel Akashic Records privately as well as supporting a small group in my Oracle Circle. My beloved service-in-the-wider-world piece is doing public Oracle Transmissions on topics that are begging to come through, because so many are thirsty for the wisdom, healing, and support they provide. This call is of course an example. When you opt in for free (so that we have a way to keep the conversation going), you’ll be taken straight to a page with a player so that you can listen as many times as you need to.